17 Jan Work Finder presents opportunity to inspire the next generation! 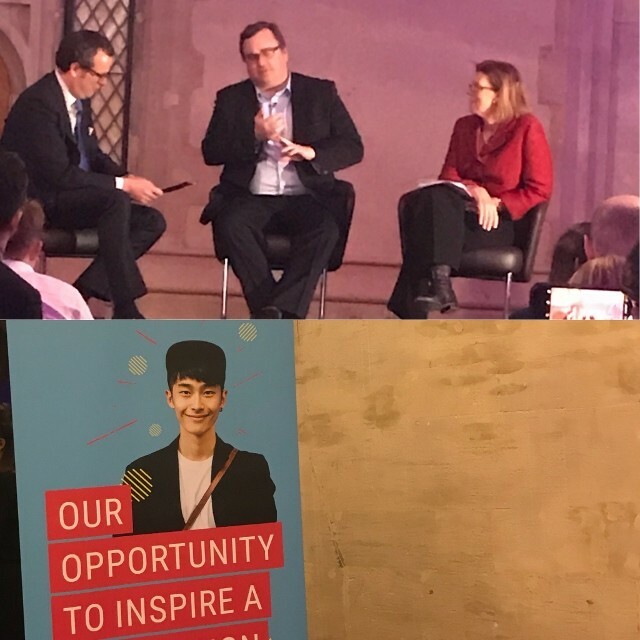 Great to be attending the exclusive event discussing how business and education must work together to inspire the next generation, provide them with work experience opportunities and empower them to explore the world of work on their own terms.Inspiring to hear from Founders4Schools’ Executive Chair Sherry Coutu CBE mission to introduce young people to inspiring entrepreneurs and business leaders. Powerful Keynote address by LinkedIn founder Reid Hoffman speaking about the role businesses can play in addressing the UK Skills gap. launch of Workfinder, a workplace experience app helping young people to discover career opportunities in their local area. Speakers included: Pearson CEO @JohnFallon, Alderman @PeterEstlin, Unruly Co-founder @SarahWood OBE, Founder of Tech London Advocates and Global Tech Advocates @RussShaw, Teach First Founder and Honorary President @BrettWigdortz OBE and Founder and CEO of Babylon, @AliParsa.